Serving red wines at room temperature in the summer. Only decanting old wines to remove sediment. Confining champagne to the warmer months. These are all old-school ideas that need to be ditched. Whether for brunch, lunch or dinner, the French drink champagne even in the snow, so we shouldn’t let a mild winter down under stop us from enjoying one of the most complex and delightful beverages. We asked Australia’s Champagne Man, Tyson Stelzer, to help us sort the cuvées from the bruts. As well as offering his professional know-how to his annual Champagne Guide, Tyson is the sparkling reviewer for the James Halliday Wine Companion, and host of the biggest champagne showcase series in the world, Taste Champagne. Here are some of Tyson’s favourite champagnes to cover you for every occasion over the cooler months. The complexity and richness of Bollinger Special Cuvée is unparalleled among other entry-level non-vintage blends, short of reaching the heights of Krug. Unlike other houses, Bollinger uses a distinguished resource of mostly estate vines, tended by the house itself rather than purchased from growers. Sunny south-facing slopes help to build power and richness in their pinot noir grapes, which comprise the majority of the Bollinger blend. This fruit is also blended with an unusually large proportion of reserve wines from older vintages, further heightening depth, texture and complexity. And yet what really sets Bollinger apart is that it achieves all this with freshness and vitality. On perpetual discount, no other champagne house creates fizz of such class at such a festive price, making it ideal for a toast. Cheers! My rule is you should always serve the very finest champagnes for the fewest guests, so a romantic dinner for two is your ultimate opportunity to indulge. The big champagne houses are no longer the only ones able to produce at this quality level, with some exceptional champagnes now coming from the growers. A perfect example of this is Francis Egly from Egly-Ouriet, who achieves grandeur of dizzying proportions married with delicacy of light-footed grace. Vieille Vigne is his masterpiece from his tiny amphitheatre vineyard of 1946 vines and is the essence of pinot noir-predominant champagne. Rosé is the champagne style poised for the biggest growth in Australia in the coming years. It’s the perfect match for our climate, lifestyle and cuisine. Sunday brunch calls for something that suits all manner of fare, and the deep, autumnal complexity of this Charles Heidsieck Rosé is just the thing. As one of the oldest non-vintage Rosés on the shelves, it offers glorious complexity with a dazzling copper hue and enticing savoury character. It’s the antithesis of super sweet, Barbie pink rosé – thank goodness! Krug is the king of champagnes, possessing an other-worldliness and generosity as lofty as its price. Decadently rich, extravagantly complex and thunderingly expansive, Grande Cuvée is a vinous and multifaceted champagne: ever-heightened tension and unerring focus meets breathtaking theatrics. Every bit as enchanting as its legendary reputation promises, this is a champagne to drink slowly from large glasses, to witness an entire universe of captivating aromatics unfold as it warms. Fresh, lively, fruity and precise, Piper is a reliable champagne at a great price, and I recommend it all the time for weddings, parties, anything. It’s the perfect picnic quaffer, with a street price so low you can afford to pop a second bottle in the basket – just in case! Pinot noir takes the lead in its beautiful guise of red apple and strawberry flavour, perfectly matched to Piper’s inimitable red label. This cuvée has really stepped up in recent years, with a longer rest in the cellar building a more serious, textural and complex style, while remaining unexpectedly bright. Give it a good chill and enjoy the journey as it warms and blossoms. As the benchmark for professional wine tastings, there was no question choosing Riedel as the exclusive glass partner for Taste Champagne since my inaugural event in 2014. 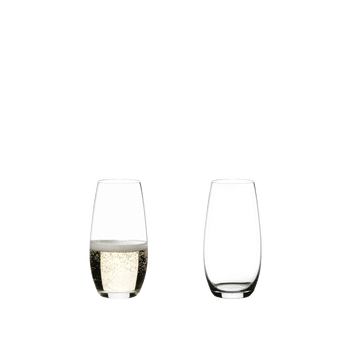 Their glasses have been crafted to translate the glorious detail of champagne’s elegant aromas, flavours and textures, and are of sufficient proportions to draw freshly-opened champagne out of itself. This year, we are taking Taste Champagne to a new level by offering our guests the opportunity to try a whopping 263 cuvées form 70 houses, from their brand new Riedel Veritas Champagne Glass. I love the balance in this glass – it’s grand in proportions yet super fine and light in design. And if one glass isn’t enough, an exclusive offer on a box of two is available with ticket purchases! Keen to attend the world’s biggest champagne showcase at Taste Champagne? Head to their website to purchase tickets before they sell out!